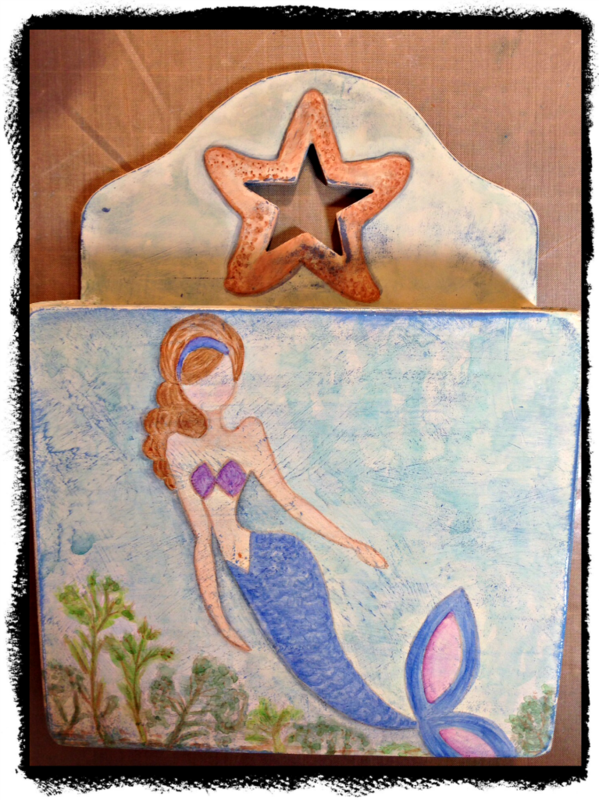 mermaid letter box | Vintage Joy Etc. 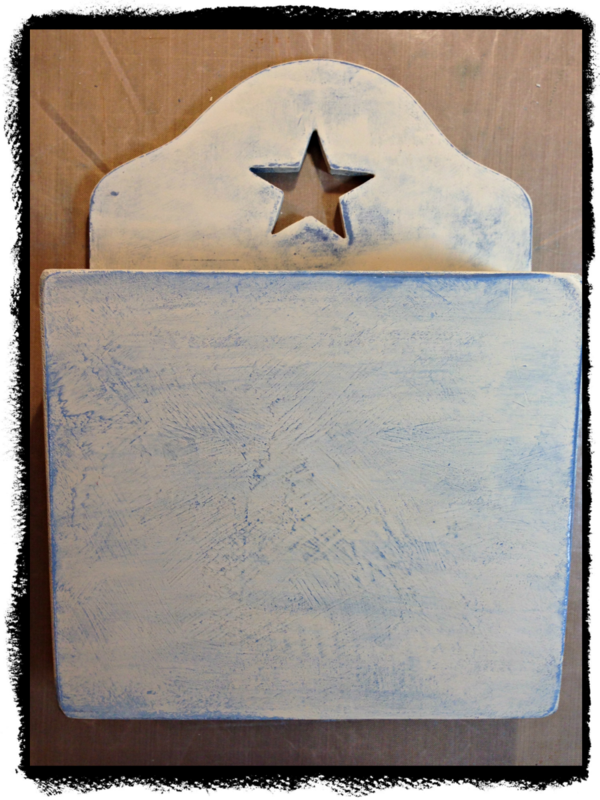 so…i started off by using the annie sloan chalk paint in greek blue, then a very light top coat of old white. buff sanded it lightly to smooth out the front especially, so i could stamp on it. so, here it is after 1 ½ coats of paint. 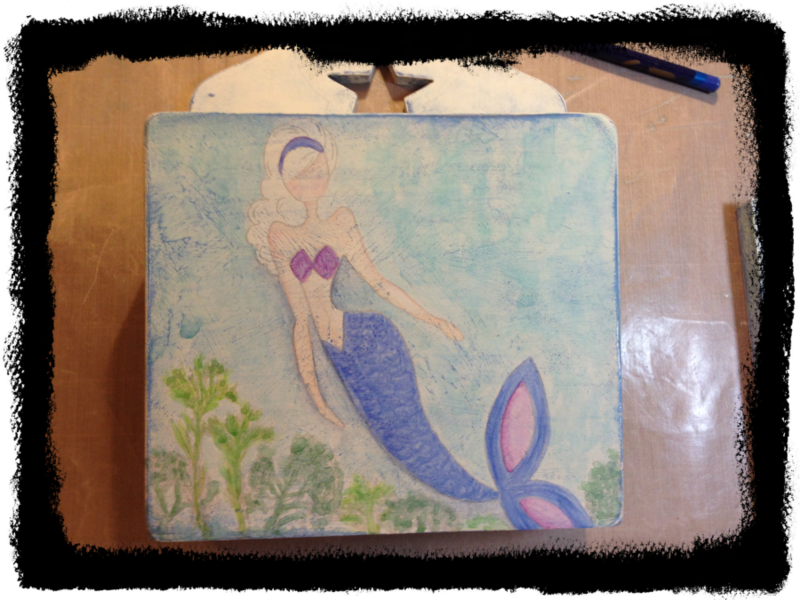 then i used the adorable prima marketing doll mermaid stamp, using stampin’ up ink in crumb cake, just so i’d have a guideline to paint within. 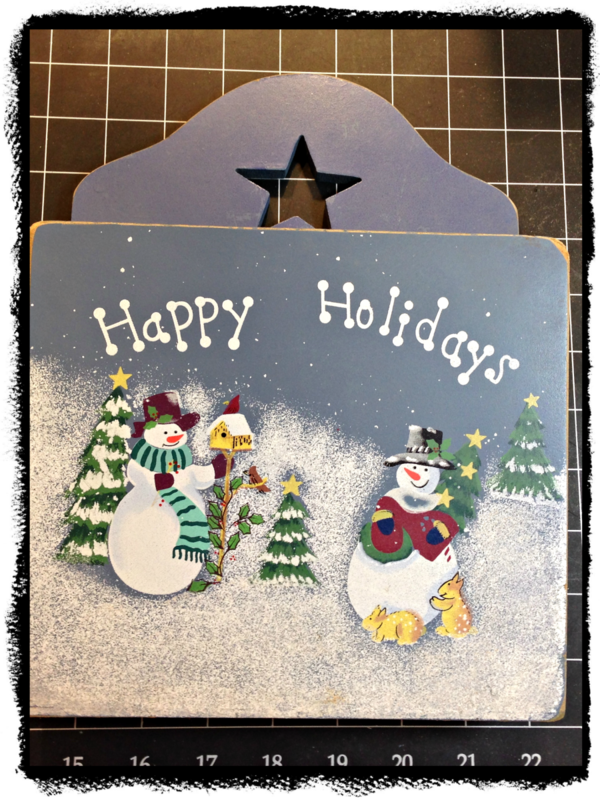 then used inktense pencils to watercolor the image and add a “watery” background. next step was to try to sketch a starfish over the cut out star section to tie in my ocean theme. well…needless to say, hubbie had to pitch in on that. finally, i highlighted the mermaids tail, bra and the starfish with twinkling h2o’s (although it doesn’t show up in the picture very well, it’s glimmers in real life) last step was to wax everything with 2 coats of annie sloan clear wax and buff.